Lysius Salomon was Haiti's 15th president, beginning his first term in 1879. Born to a black-elite wealthy family, he fought with them against the more politically dominant mulatto elite. The Salomons, after a heightened conflict with the elite, fled Haiti. When Faustin Soulouque assumed the presidency, Lysius returned to become his Finance Minister. He began engaging in corruption practices, permitting contraband, extortion, and marauding of trade commerce. When Soulouque's reign crumbled, Lysius fled to Europe. In 1879, by popular demand, Lysius re-entered Haiti to run for the presidency. He won by a landslide. His ambitious agenda included reinstituting public education, restoring solvency to government finances, and cleaning up waste and fraud in government departments. He paid particular attention to the Haitian National Army, strengthening the infantry and artillery divisions. This proved necessary due to impending coups from Haitian political exiles in Jamaica and Cuba. The US occupation of Haiti from 1915 to 1934 was US response to near-anarchy in Haiti. It was during this period that US took complete control of the nation and ran the economy, installed puppet governments and controlled every aspect of the nation including police and military. Haitians did not like this and neither did US citizens and the US troops that were deployed in Haiti. Eventually, in 1934, United States withdrew its personnel from the Republic of Haiti. Haiti earned its independence in 1804 from France but the following century was a period of utter chaos and dictatorship. 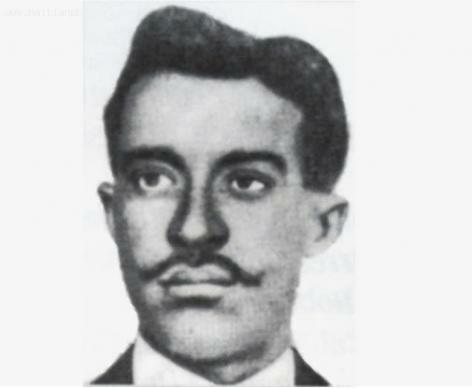 From 1908 to 1915, at least 7 men became President of Haiti but only to meet a gruesome end. During the same century, US was busy expanding its influence in the Caribbean and by 1914, US was actually interfered with Dominica Republic that shared Hispaniola Island with Haiti. It was in 1914 that US opened the Panama Canal that was both militarily and strategically of high strategic value. Michel Oreste was born on 8th April 1859 in Jacmel. Michel valued education in his leadership. Michel had served in various positions in the Haitian government and was serving as a senator when he was appointed. He was known for taking part in all the debates that brought good changes to Haiti. Due to this the national assembly of Haiti appointed Michel as the acting president of Haiti after the death of President Leconte. On May 4, 1913, Michel was officially elected as the president of Haiti for a seven year term. Michel Oreste believed in unity and always involved the Haitian officials in the endeavors of the country. He became the first president to unite Haitian officials to plan the progress of Haiti. He believed in the saying that says backward never forward ever. Michel and the Haitian officials set aside $ 350,000 to reconstruct the broken palace. The people who were given the money ran away. When asked, they promised to release the money after some months. Michel Oreste could not work in peace; so he decided to wait for them to realize the money. Haiti became disorderly again the "les cacos" brought panic to Haiti. All the development brought by Michel was forgotten and Haitian officials started to blame him. Oreste Zamor is also known as Emmanuel Oreste Zamor. Zamor was born in 1861. He became the President of Haiti on February 1914 after Michel was over thrown. He was helped to take over by government officials and Cacos. The Cacos agreed to support him because he had promised to keep them on Government payroll. Emmanuel Oreste Zamor did not achieve much for Haiti because he spent more time with government officials and the cocas. When he got into power, he failed to keep his promise to the Cacos. The leaders of Cacos, (Joseph Davilmar Theodore and Rosalvo Bobo) went to Port au Prince and asked Zamor to step out of the palace. Luckily the American military who wanted to intrude Haiti offered to help Zamor but Zamor rejected the offer. Emmanuel Oreste Zamor thought that he would be able to fight for the power on his own. But he was wrong because the two leaders of Cacos were too determined to have him step out. They ganged up with all the members of Cacos and got into the palace and forced Zamor out. He escaped and fled with his brother.